This is the ultimate golf bag in performance and style. The bag is made with a lightweight sturdy construction with 14 full length dividers covered with colour-coordinated air mesh for enhanced protection and durability. 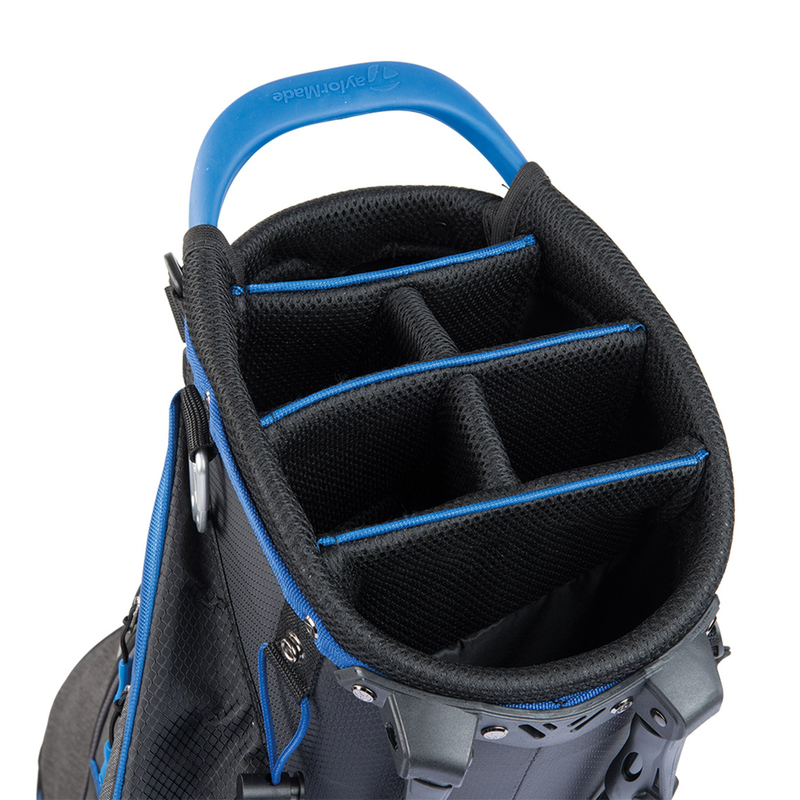 The integrated top features grab handles combined with the webbing trunk handle allow this bag to be moved around with ease. 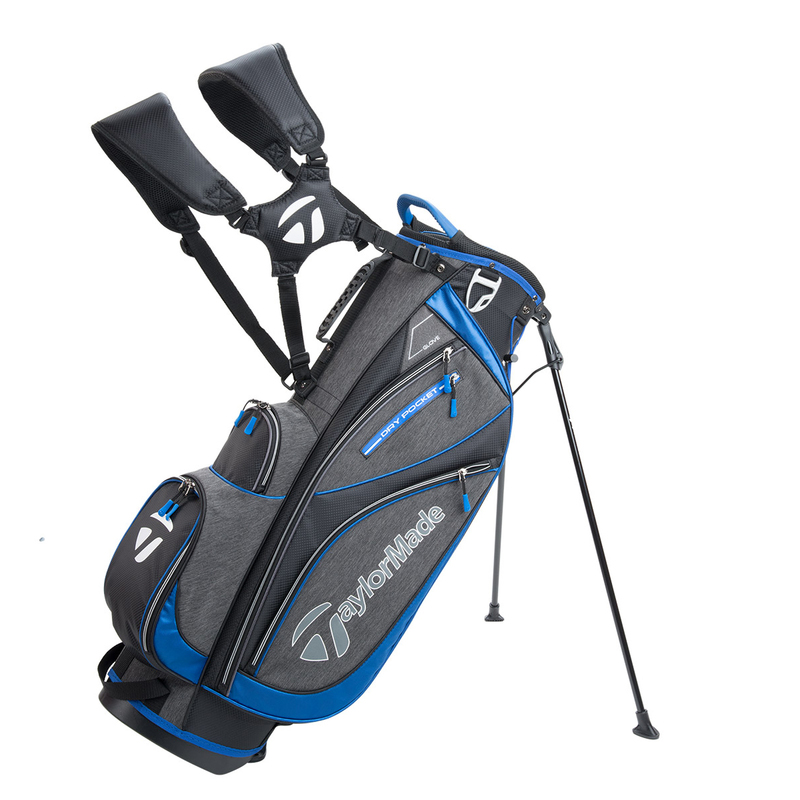 The base sits well on all surfaces with an angled base for increased stability, plus comes with an adjustable backpack style strap for golfers who prefer to carry in comfort. This bag provides loads of storage options which includes large clothing pocket, ideal for carry all your extra garments. 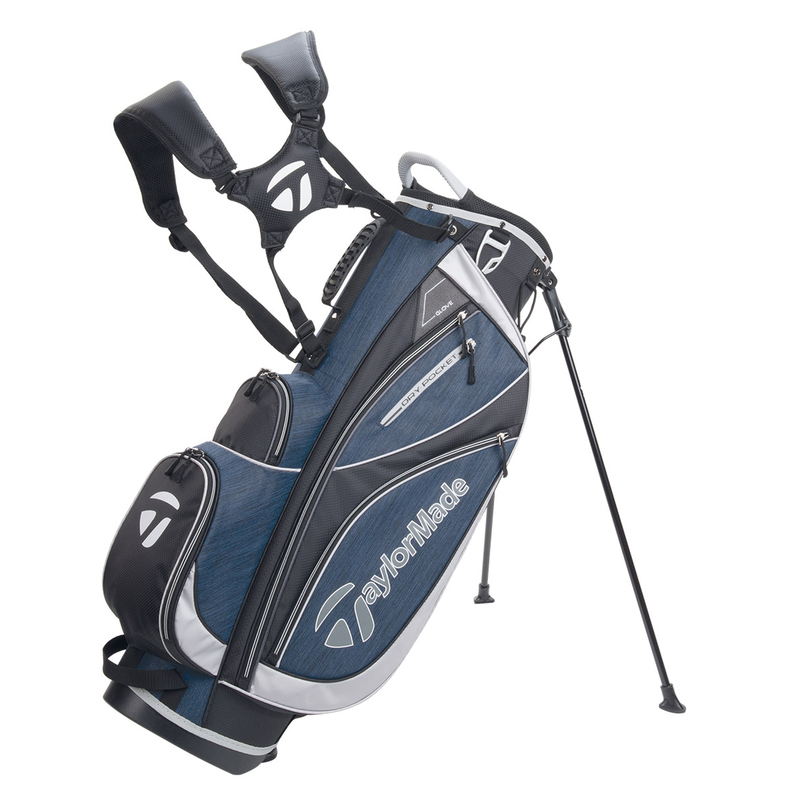 You also get pockets for your golf balls, tees and accessories, fur-lined valuables pocket, plus a water bottle holder which is ideally located to get quick access to your refreshments. The bag comes complete with a matching rain hood.